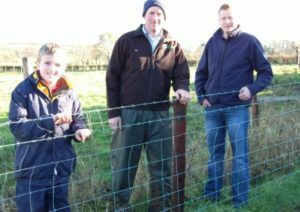 We have over 30 years of experience in quality supply and fit fencing. Choose from the fence types outlined and call us on 0749145386 or email us for your free quotation and advice on the type, design, positioning, quality and specification of your proposed fence. We supply and fit fencing systems suitable for Sports, Schools, High Security, Data Centres, Utilities, Temporary, Farm and Residential projects.